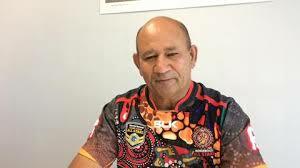 Alan is a proud GUNGARRI Rainbow Warrior who is a universal leader in providing alternative holistic health services to to those looking for a diverse approach to their well-being. Alan specialises in Spiritual Healing, Meditation, Holistic Counselling, Cultural Mentorship, House Clearing and Hands on Healing. Alan brings a balance of love, peace and harmony by working with the Spirit of his Ancestors and the Spirit of Mother Earth as his healing team t o empower and transform lives. NDIX Registered Service Provider for Social Emotional and Cultural Well-Being.